Villa Clearwater Barbados. The West Coast of Barbados is well known for its beauty and its wonderful beaches. Villa Clearwater provides visitors with direct access to the beauty of this area, and is set directly along the sands of the stunning Gibbs Beach. A large and incredibly private property, it is a wonderful blend of new and old. Furnished primarily with antiques, and built in a classic island style, it boasts an array of amenities that make it superior to any resort. After all, it is set on a large property that includes a long and gorgeous stretch of beachfront, impressively landscaped gardens with mature trees and palms, a pond dotted with charming water lilies, and an enormous patio area that will become a preferred gathering place. In addition to the setting and the scenery, this villa is staffed with a cook, housekeeping and gardeners who ensure your stay is comfortable, relaxed, and peaceful. The four bedrooms are all located to ensure privacy and feature the same classic décor and lovely views of the gardens and the sea as the other living spaces. Two are on the upper level, including the master bedroom, and two are on the lower. The upper bedrooms have en suite bathrooms and the two bedrooms on the lower level share a bath and feature beautiful garden views. The indoor living spaces of the villa are a wonderful match to the outdoor spaces and the lovely bedroom suites. Because you have a cook for three meals daily, there is a formal dining room decorated in a wonderfully classic Caribbean style, the living room, and a media area with television and oversized furniture. 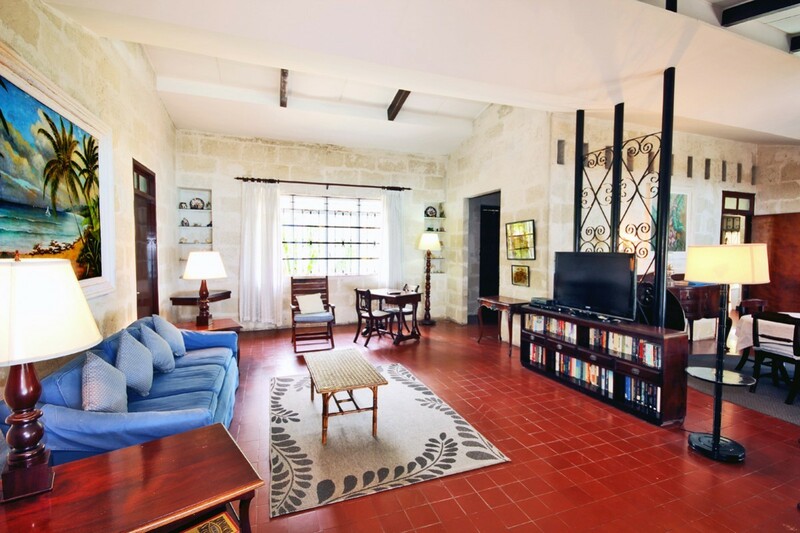 Whether it is for a family getaway or holiday with friends, Villa Clearwater is a wonderful find in one of the most picturesque and popular areas of Barbados.